Lately I dream of Manu’a nearly every night. It’s almost always the same dream: Wes and I have just “stopped by” Faleasao for the day. 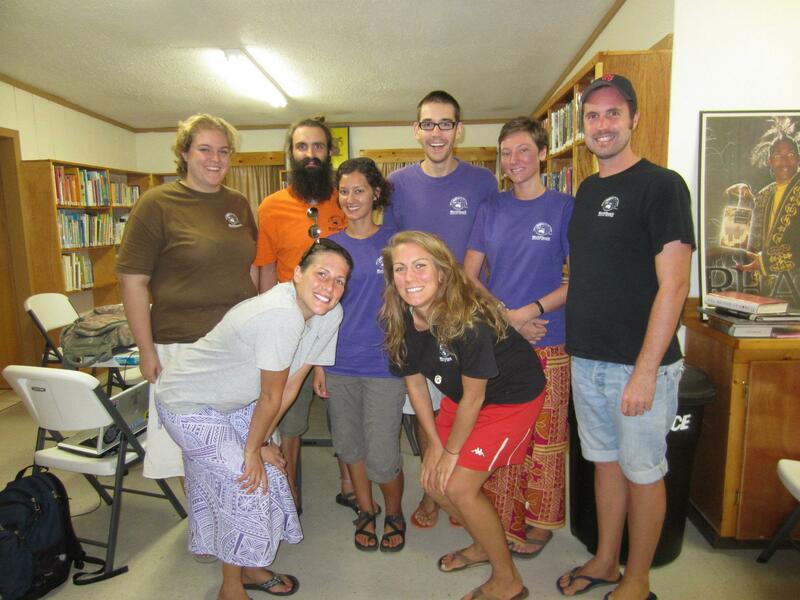 We run into the new WorldTeach volunteers, who are busy unpacking and mostly disinterested in us. I wake from these dreams with a sense of urgency–my mind racing with little bursts of panicked memory like when you suddenly realize that you have some big deadline tomorrow or that it’s your mom’s birthday and you haven’t gotten her anything. My heart is always racing. I think of all the things I should’ve told them, but didn’t, and now, won’t. In the dream, and in my waking life, the underlying struggle is the same: I want more than anything to be able to summarize the last three years of my life in Manu’a in a way that is useful and meaningful and honest, but I just don’t know how to do that. I never have the right words, or the right opportunity. Worse, I’m not sure that anybody else cares. You see, we spent years learning to decipher the weave of the delicate social tapestry that is the fa’asamoa, years trying to pinpoint the mores and the ideologies that drive them, years uncovering the secrets nobody wanted to tell us, the palagi, years figuring out how to live in Manu’a. 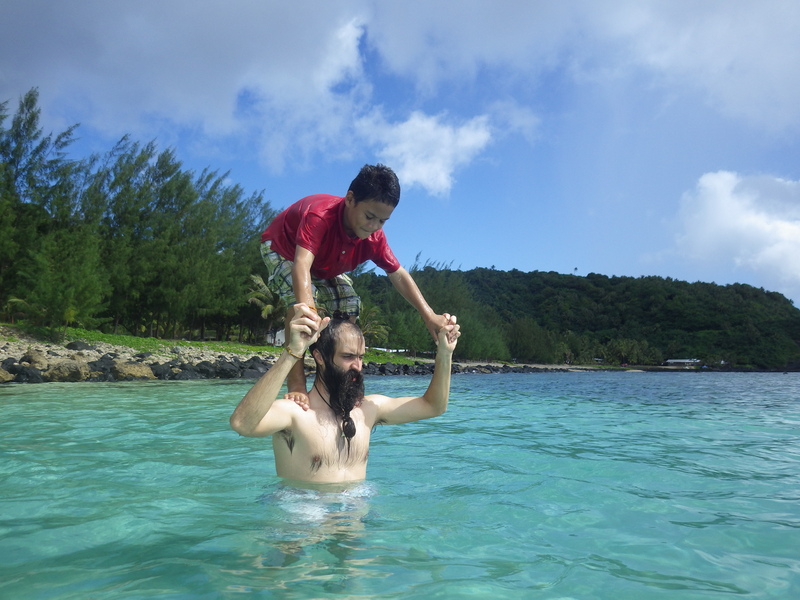 Samoa was, and in many ways still is, a mystery to me. So much of my energy went in to the myriad ways I might solve the puzzle of Manu’a. It was necessary–how could I help the children there if I made no attempt to understand them?–but it took a lot out of me. It really hurts me how useless all of this information is to me now, and so I try to share it in my dreams. Three of the most important years of my life, and no way to explain any of it. I dream them up, those new young expats, and try to tell them. I want them to know the hard stuff, but I also want them to know what to say and to whom to say it, how to ask that question in Samoan, who to speak to or serve first, how to accept a gift, when to sit, who is related to whom, which students learn best using which methods, what material was covered in their English classes over the last three years, how to pronounce a hundred different Samoan homographs, how to keep ants out of your kitchen sponges, the easiest way to tie a lavalava so your thigh isn’t showing, which parents you should never call for discipline, where to find the best sea glass, the names of all the village dogs and how they are related to one another, when to pull weeds, the names of all the coves/beaches, who to call for a ride, which kids you can invite in the house and which ones to watch around your valuables, etc, etc, etc. I want them to tell them everything. They are the only ones who might care. And so I am aware that maybe it also comes down to this, too: I’m having a hard time giving up control. It hurts to know that I have to let go. I have to move on. We accepted that we could not live in Manu’a forever, for the sake of our own sanity and for the sake of our relationships back in the States. And now I have to accept that I cannot live in Manu’a in my mind, either. I cannot control what’s going on in my absence. I can’t make people care any more about this one thing or any less about this other thing. It is not my responsibility to mentor expats who are 7,000 miles away and completely unaware of my existence. Whether they are being told the wrong thing (and they probably are. right now.) or they are being (unknowingly) culturally insensitive is not something I can control. Whether they play ultimate with the village children (and let the little ones play, too) is not for me to decide. Whether they share their food with Leafa & To’o is up to them. I couldn’t control these things when I was there and I can’t control them while I’m here. So I absolutely have to let go. But how? Part of what I loved the most about our first year in Manu’a was how little information we had. We had to figure it all by ourselves. When Erin & I arrived on island (a few days before the rest of our group), we got off the plane at the airport with instructions to “ask someone if they’re going to Faleasao.” We were just two twenty-somethings, with maybe three bags between us (our luggage would come later on the boat), arriving on an island we’d never been to before with no idea where our house was or how we were supposed to get there. On top of that, we had been so badly misinformed about the amenities on island that we arrived without any food or any cash (“Don’t worry!” they said, “there’s an ATM at the airport!” They didn’t mention that it was practically abandoned). And you know what? It was exciting. We didn’t know who to talk to so we talked to everybody. In the first year, Lionel (a young man in our village) taught Wes how to spear fish. Tino, though he speaks barely a word of English, burst through our front door one night to show us how to make oka–no invitation necessary. Mitch and I wandered down to the middle of the village around 2am once and ended up learning how to do an umu. Our students’ mom, Nina, showed Erin and I how to siva Samoa the evening before she and I were to perform the dance in front of about 300 people. We didn’t rely on the been-there-done-that American on island to show us the way. We had to figure it out on our own. No, better than that, we got to figure it on our own. I’m so grateful for that. But the next two years were spent un-learning the bad habits we picked up our first year. Our Samoan friends and neighbors were so forgiving of our ignorance (and loud, clumsy American-ness) the first year, but by the second year they wondered why we didn’t speak more Samoan? Why we didn’t know what, to them, was common knowledge. They began to confide in us about the rude things the other Americans were doing or had done in the past, things we had done ourselves just last year before figuring out what was and was not taboo. I started to see just how steep the learning curve is–just how short and inadequate ten months of volunteer service really is. I’m not saying by any means that I have it all figured out. I think I could spend my life in Manu’a and never have Manu’a figured out. 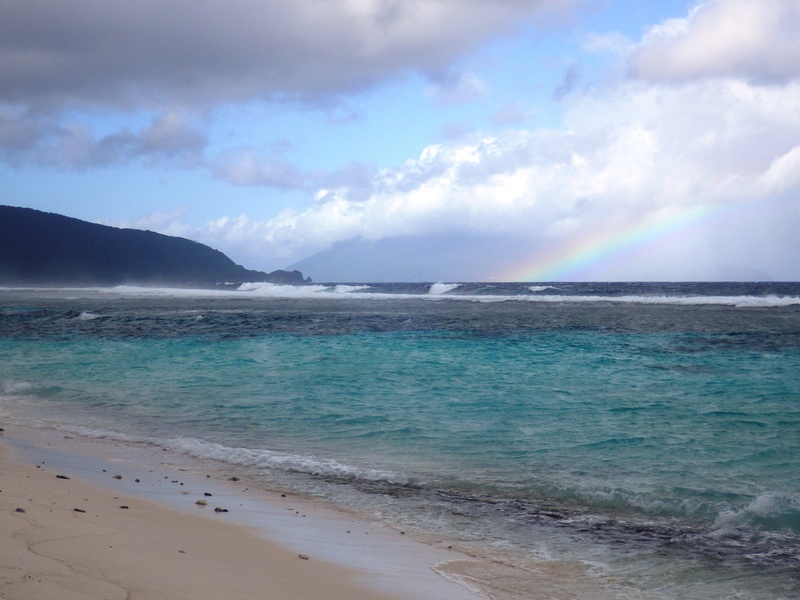 What I am saying is that I have all of this experience, all of this learning and growth and appreciation and, yea, even some all-out cynicism and a million other things, both wonderful and messy, that Samoa poured out all over me, and absolutely no outlet for any of it. I am bursting at the seams. There are eleven volunteers in Manu’a this year, an incredibly large number for those tiny islands, and yet that’s only eleven people in the world, out of seven billion, who might (just maybe) care at all about anything I have to say about an island, a village, a community, a culture, that has been my life for three years. Is it so crazy that I want to tell them something? That I want to make it a little easier for them by speeding up the process of realization? If they start knowing that, despite appearances, major cultural differences do exist and will eat them up inside if they aren’t constantly cognizant of them, maybe they will get more out of their time there. 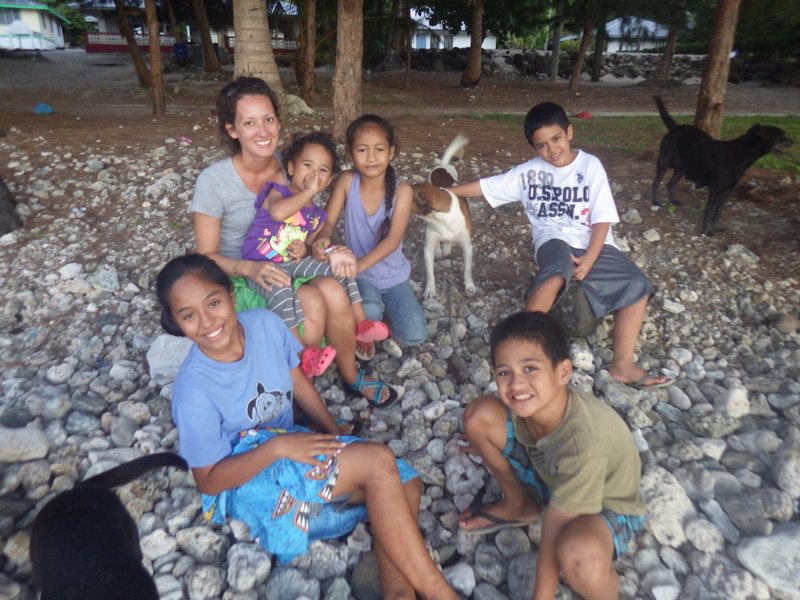 Maybe they will be able to help the children of Manu’a a little bit better than we did. But in my dreams, standing in our front yard in Faleasao, watching the kids playing by the beach below, hissing the dogs away from the hesitant new Americans, standing face-to-face with these blurry dream versions of our former selves, I can try to tell the truth. And there is always so much more to say. 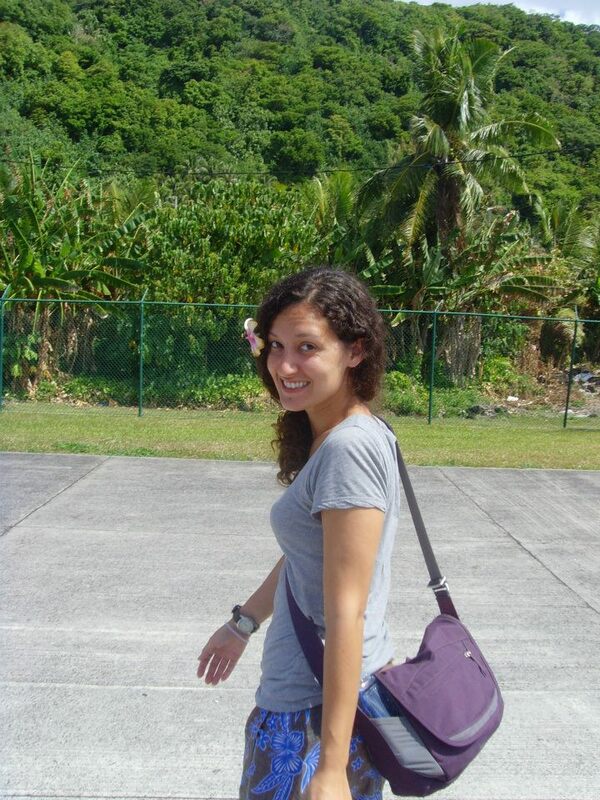 This entry was posted in American Samoa, United States and tagged coming home, culture shock, expat, expatriate, international travel, repatriation, returning. Bookmark the permalink. Here it is two years later and I’ve just now discovered your blog. 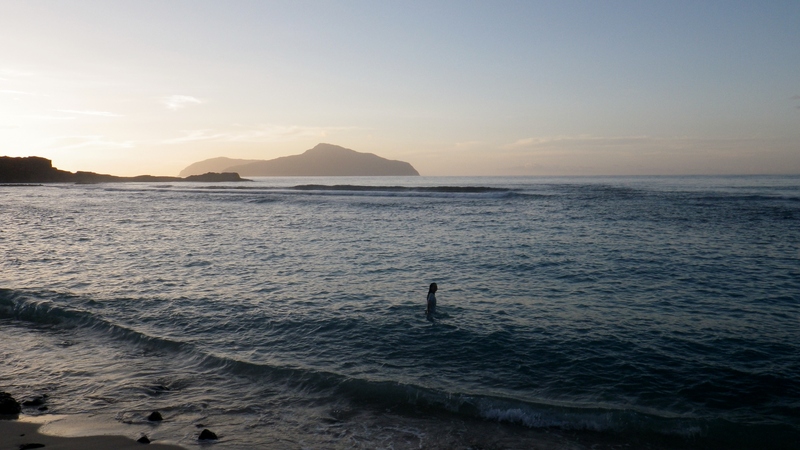 Many years ago I lived on Tutuila for a year and Ta’u for a year – a young palagi boy. Back then there was no paved runway, just an airstrip up above Faleasao. It was the strangest, most beautiful, amazing and contradictory place. Many (most) Americans here in the states are simply unable to process the Samoa/Manua my family experienced. After a while we discussed it only among ourselves. I go long periods of time without thinking about Manua, then something will pop into my head and I’ll obsess about it for a day or two. Recent news about the SolarCity array has me thinking of it again. I can relate to all you’ve posted. Thank you for sharing this part of your life in your writing and photos.